Thanks to Babykim for translating and sharing. Q&A from Russian Server from the 14th of October, but only now has been translated. Q: Please answer the 19 questions on manual fighter attacks that I sent to your PM. A: Remember the one question/one answer rule of the Q&A. Although we cannot answer 19 questions at once, we would write an article in a few week’s time since the questions appear to be popular. Q: Are these are the most popular, or the most convenient questions? A: We are answering the question voted by the players using a democratic voting system. We have an incentive to answer popular questions to preclude speculation. We cannot guarantee that you will be satisfied with the answers. We promise, however, to always address the 15 most popular questions posed. Q: Do you plan to display the status of AA and secondaries of a target? A: This information would be of limited use in battle. General information on the AA and secondaries is already available and can be displayed by pressing the H-key in battle. Q: Do you plan to allow the fighters to continue fighting once the carrier is sunk? A: Only if they have been instructed before the loss. We try to strike balance between the realism and gameplay. You should not have an influence on the battle after having lost the ship. Of course, you can sink the enemy by fire or flooding after having died, but these are consequences of your actions while alive. Simply raising the fighters before dying requires no skill. Q: Do you plan to improve the cruisers. The popularity of German battleships ensures that we regularly see 5-6 of battleships each game. A: We added the Steering Gear Mod 3 in 5.12. We will improve the turret rotation angles of the IJN Mogami and improve the armor of the USS New Orleans in 5.13. The cruisers as a class are still viable and popular. No matter how versatile the German battleships might be, they need cruiser support against determined carrier and destroyer attacks. Q: Do you work on the optimization of the client. The game regularly crashes on a minimal-requirement computer. High tier games are practically unplayable. A: When discussing minimal requirements, you need to account for other programs that might be running in addition to the game. Even if no other programs are open, the operating system may run resource-intensive processes in the background. The main load comes from special effects. While an intensive battle at tier IV may require more resources than a capping battle at tier VIII, the load increases with the tier on average. We are continuously improving the game by correcting “old mistakes”, and taking care when implementing new features. Port optimization is forthcoming 5.13. Q: Many battleship players complain about the HE spam. Do you plan any changes in gameplay? 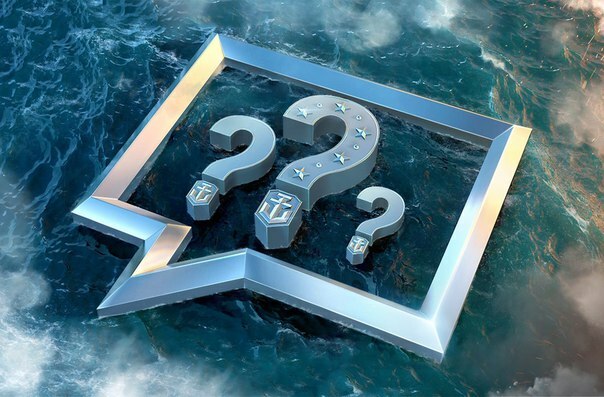 A: The server statistics shows that battleships take most damage from AP. Moreover, most of the damage to the citadel cannot be repaired. Spamming HE from smoke is less attractive now due to quicker reload of the radar consumables. Reducing the HE damage would lead to a “World of Battleships”, which would entail a battleships nerf. If playing the battleships is so uncomfortable, why is this class so popular? Q: Do you plan adding the information on penetration by round caliber, armor thickness and distance to the game Wiki? A: A good but difficult question. The main problem with such tables is how to visualize the sheer volume of information in them. The mechanic in WoWs is considerable more complex than in WoT. First, there is a drop in penetrating with distance. Second, complex multilayered armor of ships. How to present all the possibilities in a coherent way is currently being discussed. When and how this would be accomplished is still an open question. Q: When and how extensively do you plan to rework the carrier UI? A: Definitely not this year. Essentially, the carrier gameplay is a game in a game. The challenge is to make an UI assessable to players of all levels, while ensuring that good players would not be able to destroy an enemy team singlehandedly. Only after this can we introduce new gameplay features. This is a huge chunk of work. This requires conceptualizing, programming, testing, which leads to further programming, testing, etc. All of this parallel to the main schedule. This is why you should not expect significant changes in the near future.